"I sleep, but my heart wakes," says the Song of Songs. "The other night" names the sleepless night we spend in dreams. From The Interpretation of Dreams to Finnegans Wake, many of the great writing projects of the first half of the twentieth century articulate experiences of waking in the very depths of sleep, where no "I" can declare itself present though the heart still beats. After World War II, in the cold light of the closure of the age of dreambooks, Beckett and Blanchot discover with new clarity, and new fatigue, that what wakes when the "I" sleeps doesn't sleep when the "I" wakes. 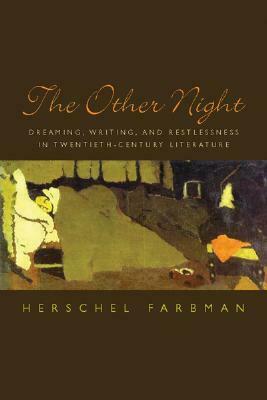 Revisiting Freud's argument that the dream is a form of writing, The Other Night looks at how life becomes literature in this wakefulness. Though we seem to be seeing things in our dreams, we are actually confronted with a kind of writing. This writing is not in our power, and yet it is ours. We are responsible for it in the same strange way that we are responsible for our lives.